I`ve finished my elementary school in my village , but my secondary school in Tayyiba village in Israel . .
B . A Degree in Arabic language and Education ( 1973 ). 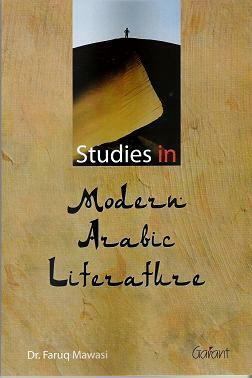 And the M . A degree in Arabic literature ( 1976 . I got the title Professor in 27 March 2011. I am working as a teacher in the different levels ( subsequently , lecturer in the academies ) since 1961 . I am a member of several education committees . I was (until 2010) the head of Arabic language department . - A lecturer in Arabic Academy in Haifa . - Vice – president of the First Arabic Language Academy in Israel ( 2004-2007 ). - A member of The Arabic Academy in Haifa (2008 - ).A Head of the Expressions Committee. I`ve published fifty books ( 12 Poetry , 12 criticism , 2 short stories 6 language 3 social – literary aspects , 1- Autobiography 4 education subjects , etc.... .
One of my poetry books is translated into Hebrew ( The Grieves wer`nt understood ) ; Many of my poems were translated into other languages, as well . Language is the essence of man and the substance of his soul. Throughout the ages, man has shaped the language so that it has become a source of energy to simultaneously reveal reality and transcend it. This is to say, that poetry is the attempt of the sentimental consciousness to stand on the pinnacle of existence and overlook its cosmic scene. Therefore, a genuine poet befriends the language and reveals its innate potential. Poets can become deeply infatuated with their language and even develop a lover-beloved relationship with it. Poetry frees and purifies language from the banalities of daily use which may exhaust its spiritual energy. Poetic activity means referring man to his pure essence, allowing him to be in touch with his innate identity. One also knows that the human soul is deeply immersed in time past and present, good and bad. Man’s inner self is always open to social values and to public and private concerns and worries. Thus, human identity is never to be detached from social values and public affairs. Such issues can never be separated. Rather, they are closely related. Poetry is that spiritual activity which aims at maintaining human integrity, referring it to his innermost self. It is my deep conviction that Poetry benefits most when it identifies with man’s pain and sorrow compassionately. The intimate, the sympathetic, and the aesthetic are three essential elements of the substance of any timeless poetry. Poetry portrays how the soul is strongly related to its existence, allowing it to look discerningly beyond the horizons of that existence in the attempt to reveal its secrets. Human sorrow, suffering, longing and yearning are among the major universal literary themes, while the sentimental energy is the main spring of all great poetry. Therefore, poetry becomes an integral part of life. A poet whose word manages to manifest both the spiritual and the concrete and who merges his soul with reality may provide his reader with a dose of hope to help him face life’s hardships and transcend the pessimism of this era. From my patient people . And is a silk so passionate? Will clear away, leave no trace . Have they faced death ? Which stretched the threads of death ? Traveling through the land ? Looking at his enemies with scorn ? By which religious law do you rule?! How many of you live in a den? And he is still proud of his deed. During a night of fornication? The defense of his love. But, from the tongue of an unrestrained reveler. And the sea amused his grieves. Hand me back what I've entrusted! While my friend turns away. Who hugs the children of the world??? Oh! how often have such events reoccurred!!! This article aims at exposing the reader to the significant characteristics of his poetry. He wrote on many topics, but the humanistic aspects are the most prominent ones. His poetry involves a reference to humanism, since it’s his belief and conviction. He is a poet who is well known in the world as a poet of humanity, love, justice and freedom. Introduction: almost from the beginning of his poetic career, he was recognized one of the outstanding talents of his generation. Certainly, everyone in the speaking Arab world was convinced that he was “a genius” when he was still in his early twenties. Almost every lyric poet must use imagery obsessively and create a vivid and coherent body of work. He allows his mind consistently to dwell with particular excitement on some few symbols which, for whatever profound psychological reasons, have taken on special significance for him. He, of course, was no exception to this rule. From the first, there were certain images and symbols to which he returned again and again, and into which, he constantly poured the manifold accumulated tensions of thought and emotion. Poetry has been accorded a place of honor in every culture which has a literature to boast of; poets have been hailed as “prophets”, makers, unacknowledged legislators; and men of affairs have been keenly interested in this form of expression. His poetry contains images which become real images which he creates in a simple and direct manner. But this simplicity is sometimes misleading, because it is charged with association that arouses the imagination and induces quotation and interpretation. He wrote about diverse topics dealing with the social, economic, political, ethical and literary issues that the Arab population encounters in Israel. His poetry is characterized by purity, intensity and highly elevated language. Farooq Ibrahim Mawasi was born in Baqa Elghrbiya on 11/10/1941, to a middle class family. His father was well-known by his moderate spiritualism and his inclination to book acquisition. He kept, for years, providing his beloved son with religious and literary books which cultivated his literary taste. He got his proficiency education in Taibeh, since the local high school was closed. At the very outset of his professional and educational career, he commensed his teaching profession in 1961, in the Northern region of Israel. However, he retired in 1996. He functioned in various fields like journalism, counseling, material developer, and etc. 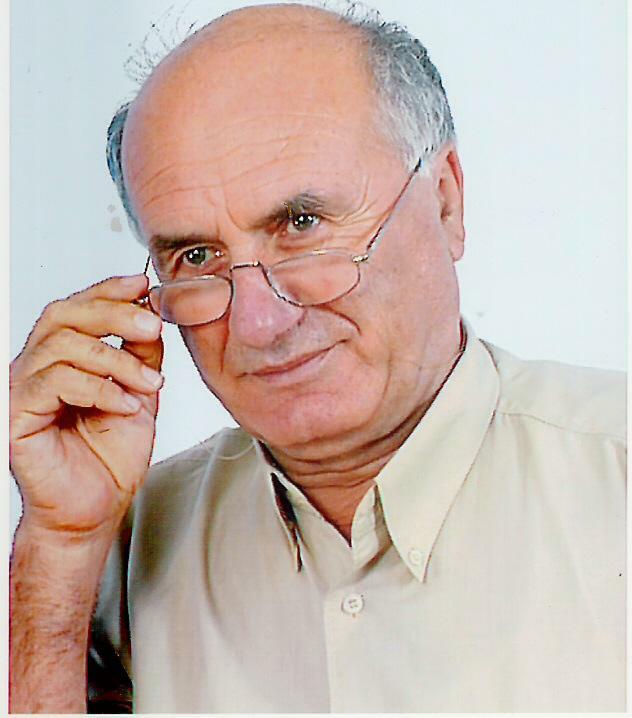 It is important to note, that Dr. Mawasi, who received his third degree (Doctor) from Tel-Aviv University, is particularly famous for his own rich library, which approximately includes all the significant reference literary books usually published in Israel and the Arab world. Broadly speaking, this library is always at the disposal of the researchers from Israel and abroad. He, as a poet and critic, does not spare any effort to actively participate in almost all the literary conferences usually held in Israel and the world at large. He is completely convinced that the poet should be endowed with more lively sensibility, more enthusiasm and tenderness. His verse arose from the ardent faith in man and nature. He was deeply interested in simple life and human emotions. He started from a philosophical conviction that man is essentially good that what man needs is a greater willingness to live by his emotions. For him a transcendental idealism is a safer guide than custom and law. He sought an escape from the actual world to a world in vision once seen. Being an individualistic he believed in liberty and freedom. Frustration may be felt through his writings. Some consider the element of melancholy to be a result of the many disappointments through which some of the Arab poets passed. Humanism: Humanism has been thoroughly and comprehensively dealt with in most of his poetry. It is almost felt in every poem since the poet strongly believes that humanism constitutes the firm basis for Freedom, equality and coexistence. His language is highly figurative and metaphorical. It is richly figurative and charmingly poetic. This is due to the fact that his poetry and imagery are inseparable. The most remarkable element in his poetry is music. In fact, he has been a writer whose poems sound like music. Music plays a major role not only in the image and sounds of his own poetry, but in his prose as well. His aim has been directed towards revealing both mysterious and lovely atmosphere. He is a gigantic towering figure in the modern Arabic literature in compliance with the best Arabic standards. He is truly considered the most prominent Palestinian poet, who consistently tends to use repeatedly the word “human being” (Man) which implies love, virtue, justice and peace. Moreover, he wrote about the Palestinian tragic reality, honestly and sensitively. 3. Fi Intidar Alqitar, p.54. He and Rashid Hussein concentrated mainly on Man who indicates their closeness to humanism. He perceives Uri (Jewish) a symbol of sacrifice. Death does not make a distinction between “Mati” and “Ala”. This sacrifice fought and struggled relentlessly without getting rewarded. Which tyranny is not carried out by hands? 17. Fi Intidar ALqitar, p.30. When man loses his integrity and dignity, he loses everything, even his values. In spite of this pessimistic outlook, optimism remains the primary string throughout his poetry. Man, in the poet’s view, remains a symbol of virtue and future. We have managed to survey how the poet calls for educating people towards humanism. We have also shown the close connection between humanism, love and peace because they are interrelated. He, as a sensitive poet, handles his people’s political and humanistic issues in a civilized and objective way. He is persistently against enmity, hatred, because, after all, man is a brother to man. Our reality, in Mowasi’s view, seems suffering from agony, disappointment and frustration, but hope remains the only alternative in our life. He places considerable emphasis on the role of the individual in changing the negative aspects in our society. Moreover, he strongly believes in the power of nature to shape out the human being character, personality as his everyday situations. Life for him is full of the supernatural and mysterious aspects that one can become in contact with by faith rather than reason; by imagination rather than reality. His poetry is the negation of law; and the voice of man under strained, free, and carrying out for a world which he has not yet found, but which he feels that it exists, a world where colours are bright where life is not confined and where the spirit is left free to its visions.